The Petco Foundation, Healthy Paws Pet Insurance, Lumina Media and “Shelter Me” Filmmaker Steven Latham will premiere the national PBS series, “Shelter Me,” online for free. The first five episodes of this inspiring series will stream on ShelterMe.tv beginning May 25. Each one-hour episode is hosted by a celebrity animal lover including, Jon Hamm, Jane Lynch, Allison Janney, Katherine Heigl and Edie Falco. Filmmaker Steven Latham created the “Shelter Me” series because he wants communities to get involved with their local animal shelters and help by adopting, fostering, donating, volunteering or by networking animals through social media. Shelter Me is an inspiring series that celebrates the human-animal bond with uplifting stories about shelter pets. Shelter Me was created and is produced by Steven Latham. The project also includes a website – ShelterMe.com – which enables anyone to create and share profiles of shelter pets to help increase adoptions. Shelter Me works closely with other animal welfare organizations to organize effective spay-neuter and humane education programs and helps develop and implement life-saving projects directly at animal shelters. 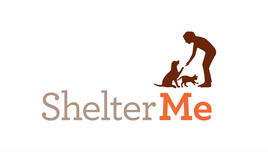 Follow ShelterMeTV onFacebook, Instagram and Twitter. At the Petco Foundation, we believe that every animal deserves to live its best life. Since 1999, we’ve invested more than $150 million in lifesaving animal welfare work to make that happen. With our more than 4,000 animal welfare partners, we inspire and empower communities to make a difference by investing in adoption and medical care programs, spay/neuter services, pet cancer research, service and therapy animals, and numerous other lifesaving initiatives. Through our Think Adoption First program, we partner with Petco stores and animal welfare organizations across the country to increase pet adoptions. So far, we’ve helped more than 4.5 million pets find their new loving families, and we’re just getting started. Visit petcofoundation.orgto learn more about how you can get involved.